Whoever deals with acne and acne scars will testify that at some point they feel embarrassed. Over 90% of acne patients will develop acne scars. Many of them severe scarring. There are numerous treatment options on the market, but very few that actually work. Micro needling for acne scars sticks out from other procedures. Acne scars are formatted during the healing process. The blemishes occur when the follicle becomes engorged with bacteria, excess oil or dead skin cells. After the follicular rapture, skin forms new collagen fibers to repair the wound. Hypertrophic or keloid type appears when the body produces too much collagen. In this case the tissue raises above the skin’s surface. Atrophic scars develop when there is a loss of tissue. 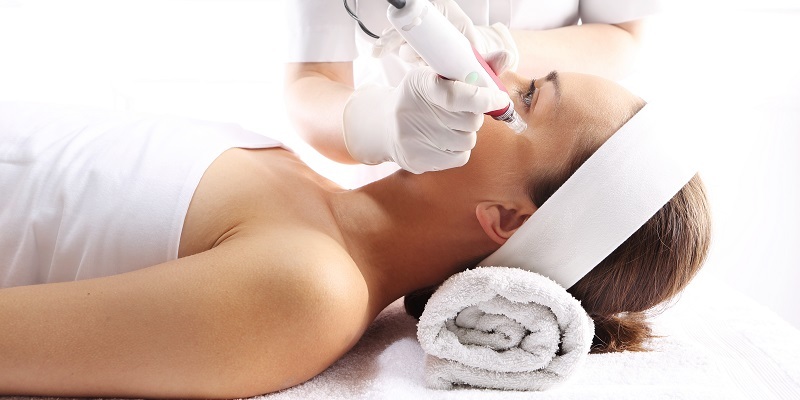 Micro needling for acne scars is considered as one of the highly effective procedures for acne and acne scars. Rightfully! It treats successfully any type of scarring we mentioned. Here are the main reasons why micro needling is an outstanding facial treatment. Collagen induction therapy or micro needling activates the healing response in the skin causing cells to make more collagen and elastin, and release growth factors. As each needle punctures the skin, it creates micro wounds. Our body starts producing new collagen and elastin and fills these micro wounds. In other words, micro needling stimulates the body’s own natural healing. Another thing that distinguishes micro needling treatment from other procedures is the fact that it can go as deep as very deep acne scar. It is also perfectly safe to have this treatment even if the acne are still active. Since micro needling is kind of invasive treatment (and still comfortable), there’s always an option to treat just the scarring area. Skin solution team encourages our patients to get a full facial treatment and enjoy the benefits of it. Among all, this fantastic procedure treats skin tone and texture, tightens and lifts the sagging skin, shrinks pores.